In case you want to increase the value of your property, you should definitely pay attention to the landscaping tasks that require your urgent attention. 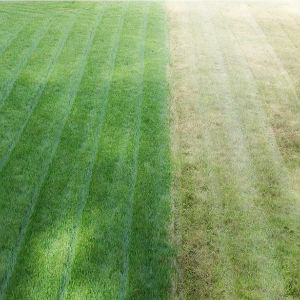 One of them is grass cutting that can completely change the appearance of the lawn. If you need someone to do the job for you, call us now. We deliver grass cutting, tree pruning, fertilizing, mulching and many more in the area of Hendon. Our professionals have a flexible schedule that enables them to perform the procedure you have booked, at a convenient to you day and time. We understand that no two areas of land in NW4 are the same. That’s why we strive to ensure personal attention and adopt the best approach towards the gardening job you arrange us for. A certain technique might work in some gardens, while it can be totally inapplicable to others. 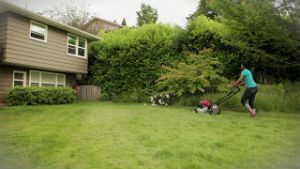 Although it might seem easy to decide when the grass need to be cut and when postponing the mowing is an option, it is actually more complicated than you think because if you cut the grass too low or you mown it too often, it becomes to dry out. On the other hand, if the grass is not cut on a regular basis, it looks messy and ruins the beautiful landscape. If you want to avoid any possible damages, you can just entrust our professionals who know how to handle any gardening task. They are certified, trained and their can-do attitude has been greatly appreciated by our valued customers. We deliver both one-off and regular landscaping jobs. For more information regarding the grass cutting or any other gardening task you need performed, don’t hesitate to call our call centre representatives. They will give you detailed information about the availability of our teams in Hendon. Customers are also provided with no obligation quotes. Get yours today and book with the most reliable provider of gambling services in London.